Picture a classical still life: citrus fruits surrounded by mint leaves, a pipe on the side - this is how an artist would capture this fragrance in a painting. [...] Savor the aroma of fresh citrus fruit, full of lemons, lime, pink grapefruit, oranges and bergamot conjuring up light's intense brightness. A delicious verdant harmony of mint and galbanum joins the sunny splendor, complementing the rich citrus juice with a balance of wild greens. The base comes from vetiver and aromatic blond tobacco, bringing the desired depth to bind the light citrus essential oils, like memory capturing magical moments. Verdict: For this citrus fan, wonderful, and as a bonus, Ray of Light layers beautifully with Jasmina.2 It would be awfully nice to own bottles of both, but (as is so often the case) I am brought up short by the prices, which are quite possibly reasonable given the brand's emphasis on natural and organic materials, but which are far more than I'd pay unless my (really big) ship came in (sadly, that is so rarely the case). But if you have a bottle of either or both, I'm jealous. 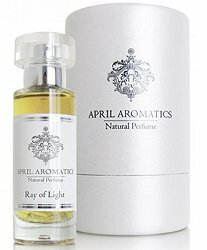 April Aromatics Ray of Light is $225 for 30 ml Eau de Parfum (Jasmina is the same price). For buying information, see the listing for April Aromatics under Perfume Houses. 1. It also has just enough heft to qualify as a citrus for cold weather. 2. I have a feeling it would also layer nicely with something that would amplify the vetiver, which is fairly mild here, but I have not tried that yet. 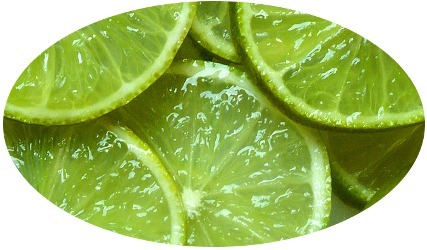 Note: top image is lime slices [cropped] by Optimistic1014 at flickr; some rights reserved. Wow, that is a price perfume could cost. Sadly it sounds absolutely lovely. It’s in line with other indie botanical brands, but agree. Coincidentally I received a sample of Jasmina this week and wore it yesterday. I like it a lot, and funnily enough still can smell the drydown today (post showers and post new other fragrance) which reminds me of Cristalle. I also have a sample of Purple Reign which is lovely. May order a sample of Ray of Light it sounds like a great combo for summer. Luckily EU shipping costs are reasonable and considering the quality and longevity I am happy to pay the price of a FB if I am still this positive after emptying my samples. And what does Purple Reign remind you of, if anything? So hard to tell from the brand description. En passant lilac with a dose of iris and violet. Early morning spring in a dewy garden. Sounds lovely, thanks so much! Happy to send you some of my sample. If I buy a FB Jasmina I am glad to send you a travalo, so far I have been lucky with getting them over the Atlantic successfully. I will let you know. You are too sweet…a travalo would take way too much from your 30 ml bottle! I own Tanja Bochnig personally, what a lovely and charming person. I also own a bottle of Calling All Angels which is an absolutely stunning incense fragrance if incredible power. I will have to try Calling All Angels, thanks! Haven’t smelled a really lovely lime since the sprightly opening of PdN Vanille Tonka went AWOL sometime in 2012-13. (It’s my favorite citrus note, and is probably a technically difficult one since I hardly ever see a lime fragrance. THe only April Aromatics fragrance I’ve tried was Liquid Dreams, and I did not love it. It’s citrus, osmanthus and narcissus, and the combo tempted me enough to purchase one of the generous spray samples. Beyond the high barrier of price – as you point out, it’s not out of the range of the all-botanical brands, but it’s beyond *my* purse – it didn’t radiate and didn’t overwhelm me with florals, as I’d hoped it would. It also caused me some skin irritation, which is so rare that I can’t remember the last time I had trouble with that issue, and I wear eugenol- and oakmoss-heavy stuff (vintage Poivre caused me no problems, for example). I think the first one I tried was Unter den Linden, which I expected to love but didn’t — might be why I waited so long to try any others. I guess skin irritation would have discouraged me even more! I had been pretending not to see this brand, but maybe I should sample after all. Hoochie mamma on the pricing! But I think I am tempted by the review! Well, I do love it but will also say there are lots of great citrus fragrances that cost way less!! I have a sample of this laying around somewhere. I only vaguely recall I didn’t find it as beautiful as you make it sound. I’ll try it again. There’s allways time for a second opinion. Or you didn’t like it…I did see reviews on the other side! Thanks for reviewing more from this brand. I absolutely love Erdenstern and really want to try a lot more from them. This sounds wonderful. I’m curious how the citrus in this compares to Christopher Street, which I think is my favorite citrus scent (because it’s like wearing a margarita). Ack, I can’t remember if I tried Christopher Street! Sorry to be no help at all. Oh no, it’s ok. I’m out of my sample of it as well (next step is FB), but I remember it’s a strong citrus that is absolutely lush and smells like the best margarita I’m not able to drink. Whenever I read about good/strong citrus openings (especially with lime) I think of Christopher Street now and wonder how they might compare to that.